I’m Going Back to School to Become a Nutritional Therapy Practitioner and I couldn’t be more excited about it. I have exciting news! I am going to the Nutritional Therapy Association to become a Nutritional Therapy Practitioner! I am going back to school and I couldn’t be happier about it. But along with being happy, I am nervous, anxious, excited, unsettled, rattled and a whole host of other emotions that are subject to change at a moments notice. Basically, I am a hot mess as I head into this new adventure. I am a person that believes personal and professional growth are never-ending. I am a continual work in progress – reaching and stretching, only to reach and stretch again. But even with a very strong personal growth compass guiding my choices and decisions, I am only human and doubt still creeps in. Is it the right time? Am I taking on too much again? Is this the right program for me? Will I be any good at it? Will people want to hear what I have to say? Will this feeling of imposter syndrome ever go away? Will this stress related eye twitch ever go away? These are some of the thoughts passing through my head as I sit here writing this, from a beat up leather chair, in a loud Starbucks, while I wait for my car to get worked on. As I have navigated my own path to health and wellness, my thirst for more knowledge on the subject has become unquenchable. I am constantly in awe of the intricacies of the human body. We walk around all day in these truly miraculous shells that we take for granted. It’s crazy! With each passing year, as I get older, and as I learn more about health and wellness, I come to appreciate, and respect my body at all stages of life. I feel so lucky to have a body that supports me even after I punished it with bad choices for so many years. I feel infinitely grateful to come out relatively unscathed from my 20’s and early 30’s. I tend to take on a lot all at once. It’s just who I am. For example, right now I am running my entire business myself because I haven’t slowed down to take the time to interview new assistants. I am under a book deadline. We are displaced from our home for a massive remodel. I have three upcoming trips. And school starts on Monday. These are just the big things. This list could go on and on. I am not complaining. I love my life. But let’s just say that there is reason that my eye feels like it is going to vibrate right off my face. Sometimes I am still in disbelief that what started out as a hobby, a private documentation of my own weight loss journey, turned into a full on career. There isn’t a day that goes by that my heart isn’t full of immense gratitude for the fact that I get to do something I love day in, and day out. Since 2011 when I started Peace, Love and Low Carb, it has been an ever evolving process. I learn and grow, then learn and grow some more. Right now, this just feels like the next natural step for me. I have some exciting things I want to share with you, and I wanted to make sure that I went about sharing those things in a responsible and educated manner. In this digital age, free advice is readily available everywhere. The problem with this lies in the fact that often times the people dispensing the free advice have no business giving it. They lack the proper training, education and experience. Yet they get on Facebook live or Instagram stories and freely give out information in a one-size-fits-all prescription. This is where it get’s dangerous. We live in a society where a lot of people look to social media and search engines for their medical advise. Since people love giving their opinion (especially when they are behind a computer screen), we end up in a virtual world of armchair doctors prescribing really unhealthy, and sometimes downright dangerous protocols. They are giving this information solely based on personal experience, or even worse, something they read on the internet after a Google deep dive. Please, please, please don’t be careless with your well-being. If you are getting your medical / health and wellness advice from an Instavangelist, you may need to rethink your strategy. And while we are on the subject… KETO PEEPS!!! Stop trying to blame everything on keto flu. If you have a rash covering your whole body and you can’t stay out of the bathroom, you probably need to see your primary care provider. Don’t simply drink pickle juice, take magnesium, drink more water, etc. or any of the other random tidbits of advise you are going to get from a facebook group. Be smart! I didn’t want to be one of those people handing out information without the proper education and training to back it up. I have always used my platform to share my personal experiences, BUT I always, and I mean always, include the caveat that I am not a doctor and that nothing I say should be taken as anything more than my personal experience. Every body is different. What works for me will likely not work for you. I cannot diagnose and treat you based on my personal experience with my own body. That would be reckless, and I wouldn’t be doing either of us a favor. So, I am armed with a giant stack of textbooks (each book is detailed below), and all the necessary supplies. I have carved out the time and space in my life to successfully achieve this next personal and business goal. I can’t wait to share what I learn with all of you! I’m not exactly sure what will change career wise once I finish, but I am excited to find out. For me, this is more about learning more about the things I am passionate about so that I can continue to help others, than it is about being something I plan to do full-time or charge for. That being said, many of you have reached out to me asking if I offer any sort of coaching – both health or business related. This will arm me with the proper education and training I need to feel comfortable coaching others in a one-on-one personalized manner. Why did I choose the Nutritional Therapy Association? So what is a Nutritional Therapy Practitioner anyway? Nutritional Therapy Practitioners work one-on-one with their clients to help alleviate and prevent illness and disease. They create a personalized roadmap to health and wellness, based on the specific needs and imbalances of each person they work with. They also use a holistic approach to promote good health, by making dietary recommendations based on whole, nutrient dense food. Their goal is to help correct the nutritional and biochemical imbalances within the body that can lead to poor health. What is the training like to become a Nutritional Therapy Practitioner? From the NTA site: “The NTA Practitioner course is a nine-month, integrative online and in-person program that honors ancestral wisdom and provides students with a foundation in holistic nutrition and includes the tools to turn that knowledge into a career. In addition to instructor-led conference calls, comprehensive learning materials, reference documents, and video and audio lectures, the Nutritional Therapy Practitioner course includes an outlined Client Consultation Process, the Nutritional Assessment Questionnaire software, the hands-on Functional Evaluation, three weekend-long workshops, and one-on-one time with instruction staff. This course is available to professionals looking to enhance their current practice with nutrition as well as those wanting to embark on a new career as a Nutritional Therapy Practitioner™ and be a paradigm shifter, healing the world with holistic and sustainable practices in food and wellness. Students in the Nutritional Therapy Training Programs participate in a rigorous course curriculum that includes anatomy and physiology, basic chemistry concepts, and the science of food and its’ nutritional components. The NTP course topics are broken down into 15 modules, starting with topics such as the Basics of Nutrition and The Client Consultation Process, to more in-depth material such as the Endocrine System and Nutritional Detoxification. Each course module including hands-on Functional Evaluation points correlating to the system being discussed and how to apply it. What are the topics of study during the program to become a Nutritional Therapy Practitioner? BASICS OF NUTRITION: This module offers an overview of foundational nutrition, explores specific guidelines for what constitutes a nutrient-dense, properly prepared, whole foods diet, and presents the roles of macronutrients and micronutrients. EVOLUTION OF THE MODERN DIET: Building on the Basics of Nutrition, this module provides a review of the history and evolution of the modern diet, including key nutritional pioneers, major milestones leading to our current diet, sourcing and farming practices, and cultural diet differences. 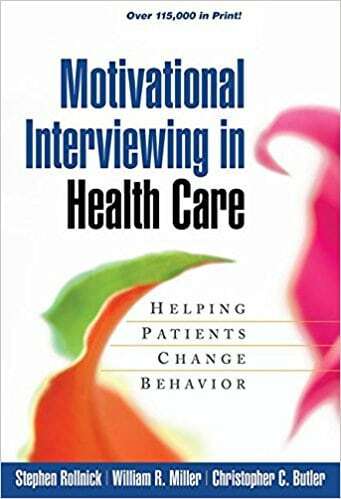 THE CLIENT CONSULTATION PROCESS: In this module, students will learn how to conduct an initial interview using Motivational Interviewing techniques, evaluate a Food & Mood Journal, and manually evaluate a Nutritional Assessment Questionnaire (NAQ). Using these tools, students will be able to develop a customized protocol based on each client’s bio-individual needs. INTRODUCTION TO ANATOMY AND PHYSIOLOGY: This module introduces basic anatomy and physiology concepts and terminology. Students will continue to learn about the form and structure of other body systems in subsequent modules. DIGESTION AND ELIMINATION: This module focuses on the physiology of the gastrointestinal tract and digestion process, as well as how to identify nutritional needs and stressors, and how to restore health to the digestive system. Students will learn Functional Clinical Assessment (FCA) techniques associated with these organs and systems. BLOOD SUGAR REGULATION: In this module, students will learn the impacts of a diet high in refined carbohydrates, how to identify blood sugar dysregulation in clients, and how to regulate blood sugar through nutritional and lifestyle practices. ESSENTIAL FATTY ACID BALANCE: This module highlights the many critical roles of fat in the body and debunks common myths about fat and cholesterol. MINERAL BALANCE: This module emphasizes the role of minerals in maintaining proper serum pH, nerve conduction, muscle function, and Tissue growth. Students will learn to identify and address mineral deficiencies caused by stress, nutritional deficiencies, and other lifestyle choices. HYDRATION AND URINARY SYSTEM: This module addresses the systemic effects of dehydration and the importance of maintaining kidney health for optimal elimination, mineral balance, and blood cell production. ENDOCRINE SYSTEM: In this module, students will learn about the complex system of relationship within the endocrine system, how to identify hormonal imbalances, and help bring clients into balance by addressing The Foundations. ALLERGIES AND IMMUNE: This module focuses on the physiology of the immune system and food allergies and intolerances, as well as how to improve the health of the immune system to enhance overall health. CARDIOVASCULAR HEALTH: This module presents many underlying causes of cardiovascular dysfunction and methods to support the cardiovascular health through a focus on The Foundations. Students will learn Functional Clinical Assessment (FCA) techniques associated with these organs and systems. SLEEP, STRESS, AND MOVEMENT: This module will explore the impact of a person’s stress levels, quantity, and quality of sleep and what type of movement or exercise a person chooses to do on overall health, as well as share steps that can be taken to address each impinging factor. ENVIRONMENTAL FACTORS: In this module, students will learn the impact that chemicals, toxins, mold, our home and work environments, and other environmental factors have on our overall health. Students will learn how to identify common toxins and chemicals and recommend healthy tips to reduce the negative impact of environmental toxins. METABOLIC CLEARING AND DETOXIFICATION: In this module, students will learn the difference between metabolic clearing and detoxification and how to use nutritional therapy to help optimize the body’s natural process of cleaning, nourishing, and restoring the body from the inside out. Students will learn Functional Clinical Assessment (FCA) techniques associated with these organs and systems. PERFORMANCE NUTRITION: This module provides an explanation of advanced physiology to understand an athlete’s nutrient needs for optimal performance. Current research on macronutrient and micronutrient balance as well as timing of food intake, supplements, assessments for athletes and other science will be explored. PRACTICE RESOURCES: In this module, students will be given tips and resources for setting up their own practices. Scope of practice and legal implications, professional organizations in which students may be interested, and introductory business building tips will be included. This module is a great precursor to the NTA’s more in-depth business-building Career Development Course. What are the required texts for the course to become a Nutritional Therapy Practitioner? The teachings of Dr. Weston A. Price, a highly-respected dentist and researcher, are firmly rooted in the DNA of the NTA’s philosophy and curriculum. 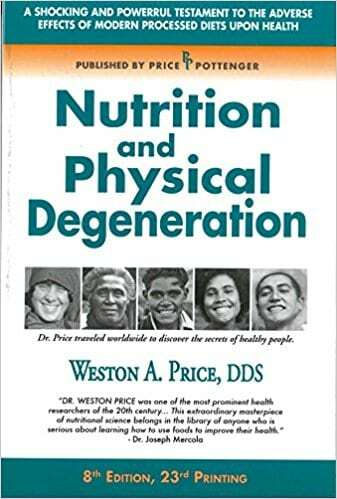 Nutrition and Physical Degeneration documents Price’s epic work to unravel the relationship between diet and physical health, an investigation that led him to 14 countries over the course of 10 years. In the end, he observed that the healthiest people tended to be those in rural areas eating traditional, time-honored, nutrient-dense diets, while the least healthy people tended to be those eating modern, nutrient-poor, processed foods. As cultures adopted highly processed foods like white flour, white sugar, and refined vegetable oils, ill health, tooth decay, poor bone development, and “diseases of civilization” surely followed. 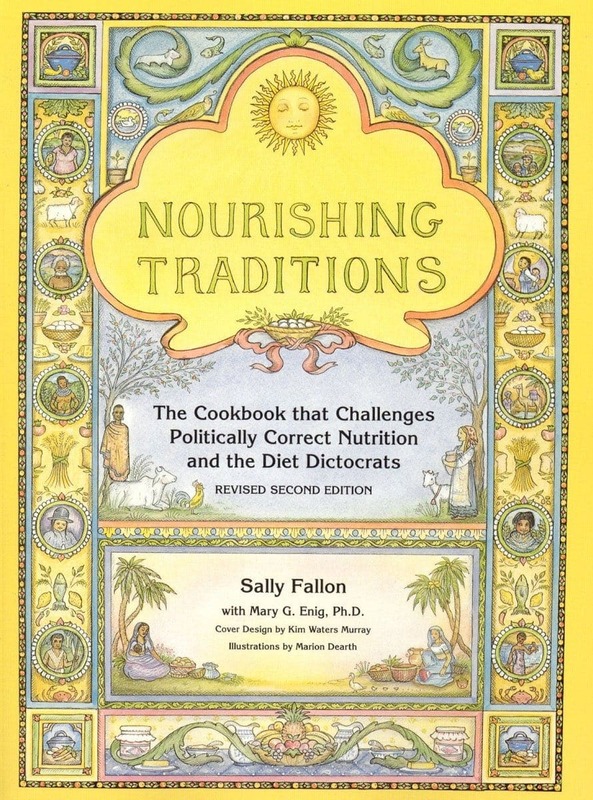 Nourishing Traditions simultaneously challenges the politically and economically motivated advice of the “diet dictocrats” while also offering modern families a guide to wise food choices and proper preparation techniques based on the time-honored wisdom of our ancestors. Contrary to common belief, Fallon shows that saturated fat and cholesterol are not only safe, but in fact required for optimal human health, reproduction, growth, proper function of the brain and nervous system, protection from disease, and sustainable energy levels. The book includes detailed overviews of all the essential nutrients needed for human life to flourish and a full-spectrum nutritional cookbook with a host of healthy and delicious recipes, including tips on how to remove anti- nutrients by soaking and sprouting grains, and the health benefits of bone broths and enzyme-rich lacto-fermented foods. 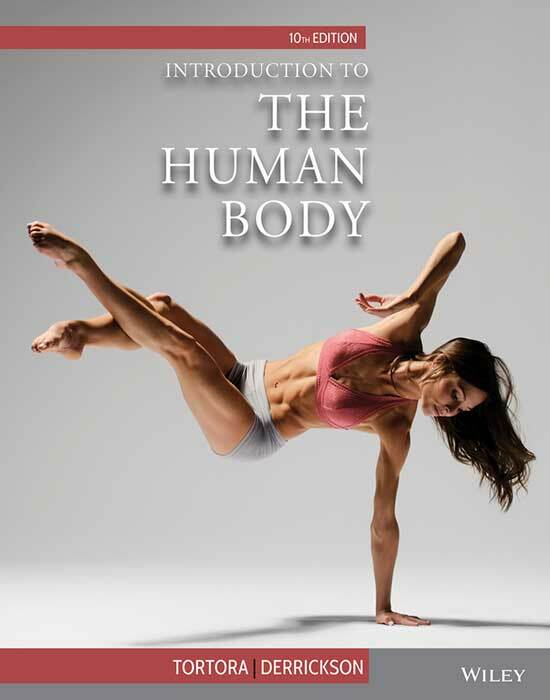 Introduction to the Human Body has provided countless readers with a strong understanding of the structure and function of the human body. Now in its much-anticipated 10th edition, the book presents the latest information in the field combined with an effective blend of stunning art and clearly written concepts. It approaches the study of the human body system-by-system, beginning with a look at the integumentary system. Readers will also benefit from the popular features that are integrated throughout the pages, such as Focus on Wellness Essays, Common Disorders, Focus on Homeostasis, and Clinical Applications. Staying Healthy with Nutrition combines decades of practical experience and scientific research into one detailed resource. 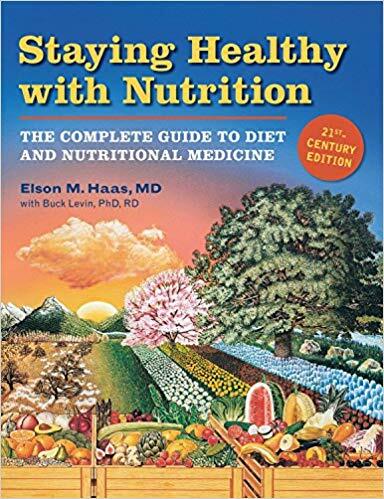 The book is divided into four parts, with Part One covering the building blocks of nutrition (water, carbohydrates, proteins, fats and oils, vitamins, minerals, and other nutrients), Part Two evaluating various foods and diets, Part Three delving into how to build a healthy, natural diet, and Part Four sharing specific nutritional and lifestyle therapies appropriate for various common conditions and different stages of life. 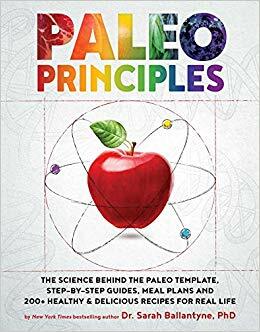 Paleo Principles is one of the most comprehensive resources to date for those seeking a scientifically founded nutritional approach to optimal health. Dr. Ballantyne lays a complete foundation for understanding the principles of the real food template in order to inform and empower people’s day-to-day choices, while also providing practical strategies, tips, visual guides, recipes, and meal plans. 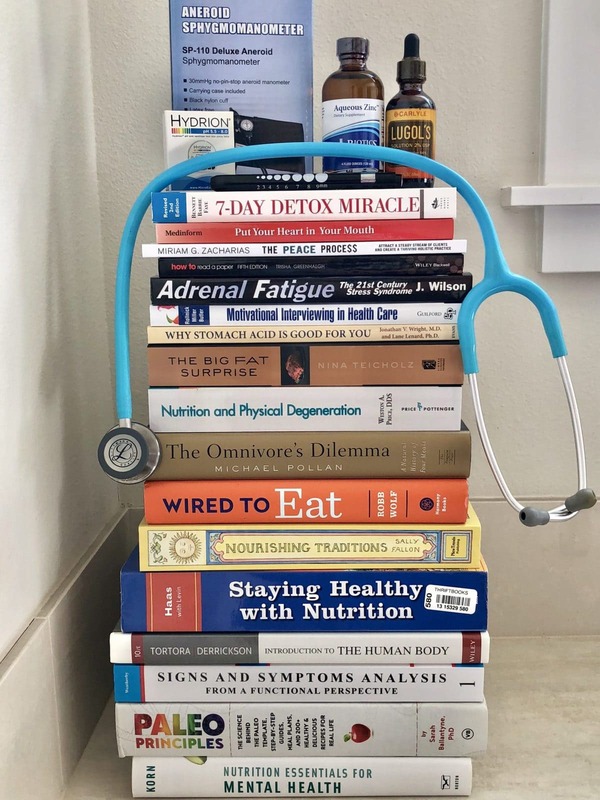 While the text covers precisely why some food choices are better than others, Dr. Ballantyne also incorporates a focus on lifestyle factors known to improve health, including sleep, stress, movement, and connecting with community. 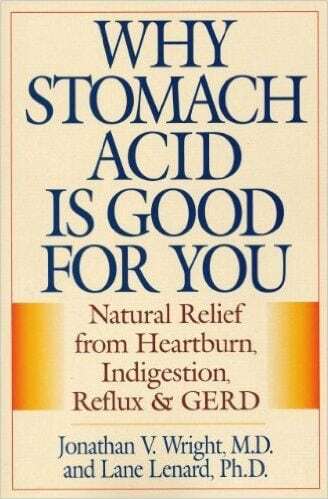 Most people today believe that heartburn, indigestion, reflux, and GERD are caused by an excess of stomach acid This book argues that the vast majority of digestion woes are in fact caused by low stomach acid, and that that while antacids may indeed relieve the symptoms of heartburn and reflux temporarily, they cause serious disorders in the long-term, including problems digesting proteins, problems absorbing key nutrients (vitamins, minerals, amino acids, etc. ), depression, gut dysbiosis, stomach cancer, skin diseases, and more. 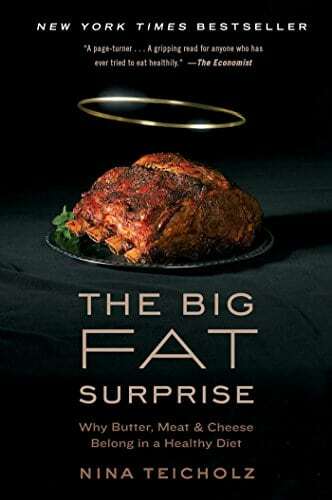 The Big Fat Surprise delves into one of the most controversial health topics of our day: the alleged link between dietary fat and disease. Through compelling narrative and extensive citations, investigative journalist Nina Teicholz leverages nine years of research to show how blatant cherry-picking of data, political interference, corporate greed, and wishful pseudoscience have led us to the all-too-common misguided belief that fat (especially saturated fat) and cholesterol cause heart disease and other chronic health problems. Far from causing us harm, Teicholz makes a strong case for the inclusion of fat and cholesterol rich foods in a healthy, balanced diet. The world of nutrition is sadly home to a great deal of flawed science, rampant confirmation bias, confusion between correlation and causation, and vested economic interests. 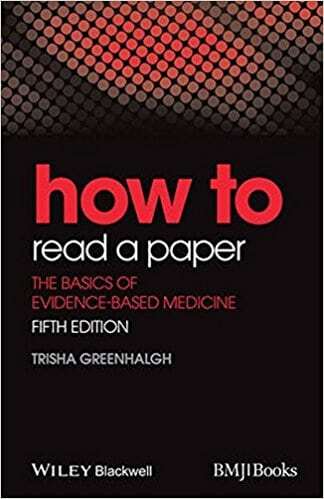 An astute nutritional therapy practitioner or consultant should always question claims and research findings, reviewing what a paper really says, not just how the researchers interpret the results in the abstract.How to Read a Paper provides the tools one needs to critically analyze clinical research and apply relevant findings in an evidence-based, client-centered approach. After spending two decades in corporate America, including managing a large sales and marketing division at Microsoft, personal tragedy spurred Miriam Zacharias to make a radical shift into the alternative health world. She began studying holistic nutrition in earnest, determined to transform lives using “food as medicine”. Though her health coaching practice grew quite successful, it pained her to see that many of her new friends in the holistic and integrative health world were struggling to market themselves effectively and bring in enough clients to make ends meet. She suddenly discovered her WHY: helping health professionals reach and heal more people and make money doing it, too. 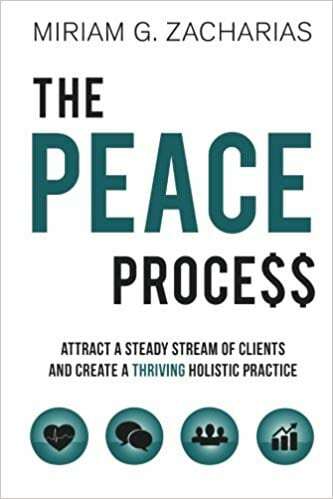 This goal led to The PEACE Process, a step-by-step guide to building a thriving practice. 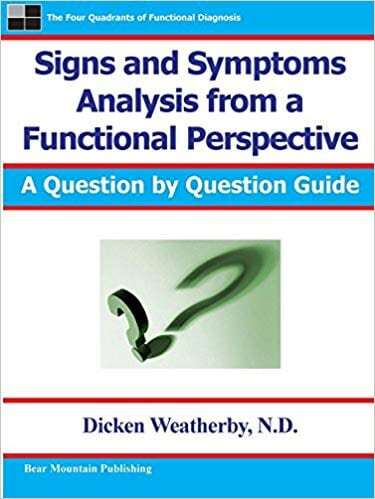 Signs and Symptoms Analysis from a Functional Perspective is one of the most powerful tools available to nutritional therapy practitioners. Used hand in hand with the Nutritional Assessment Questionnaire (“NAQ”), a detailed questionnaire with over 300 key signs and symptoms, the book helps identify and prioritize specific weaknesses in various body systems and provides nutritional recommendations to bring the body back into balance. Diet is an essential component of a client’s clinical profile. Few therapists, however, have any nutritional training, and many don’t know where to begin. 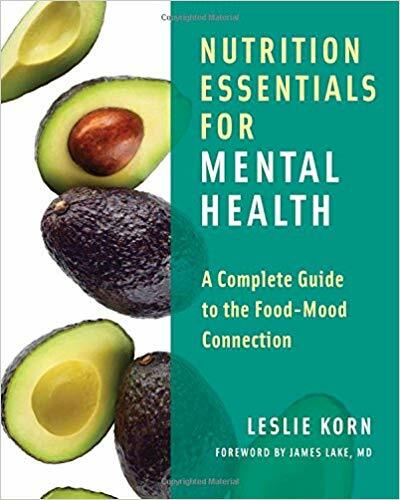 In Nutrition Essentials for Mental Health, Leslie Korn provides clinicians with a practical guide to the complex relationship between what we eat and the way we think, feel, and interact with the world. Where there is mental illness there is frequently a history of digestive and nutritional problems. Digestive problems in turn exacerbate mental distress, all of which can be improved by nutritional changes. It’s not unusual for a deficit or excess of certain nutrients to disguise itself as a mood disorder. Indeed, nutritional deficiencies factor into most mental illness―from anxiety and depression to schizophrenia and PTSD―and dietary changes can work alongside or even replace medications to alleviate symptoms and support mental wellness. The surprising truth is that we are genetically wired to eat more and move less, the exact opposite of the advice we are often given. Now there is a more customized weight loss solution that works with your body, a solution based not on arbitrary restriction of foods but on what works for YOU. 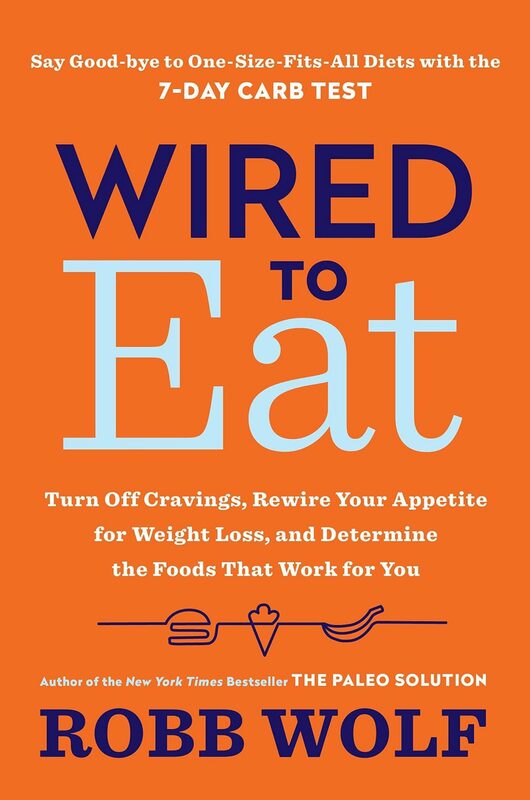 Developed by former research biochemist, health expert, and bestselling author Robb Wolf, Wired to Eat offers an eating program, based on groundbreaking research, that will rewire your appetite for weight loss and help you finally determine the optimal foods for your diet and metabolism. What should we have for dinner? 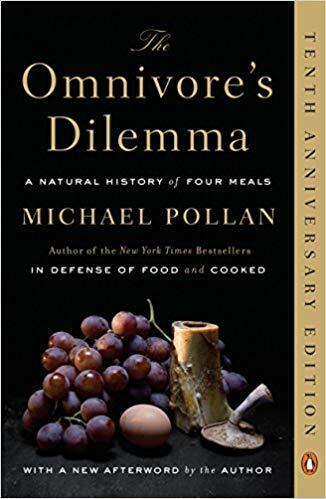 Ten years ago, Michael Pollan confronted us with this seemingly simple question and, with The Omnivore’s Dilemma, his brilliant and eye-opening exploration of our food choices, demonstrated that how we answer it today may determine not only our health but our survival as a species. In the years since, Pollan’s revolutionary examination has changed the way Americans think about food. Bringing wide attention to the little-known but vitally important dimensions of food and agriculture in America, Pollan launched a national conversation about what we eat and the profound consequences that even the simplest everyday food choices have on both ourselves and the natural world. There is an effective way to free yourself of chronic aches and pains, feel healthier, and be more energetic. 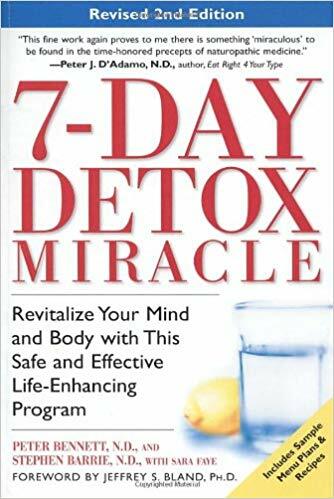 It’s called detoxification, a process that stimulates your body’s natural ability to cleanse itself. Inside, you’ll discover a simple seven-day detoxification program that will help you improve resistance to disease, normalize weight, and increase physical and mental stamina. Completely updated and revised, this edition features easy-to-prepare recipes, sample menu plans, and everything else you need to begin your new life of healthier living—today! 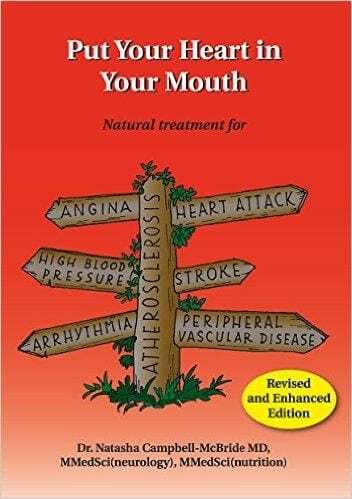 This is an incredibly informative and reader-friendly book about a common debilitating medical condition that goes largely undiagnosed and untreated. 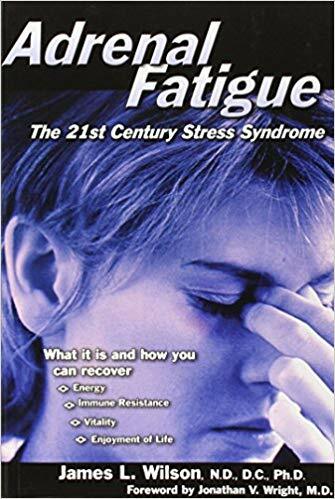 ADRENAL FATIGUE: The 21st Century Stress Syndrome is a very empowering work cram-packed with vital information about a condition that very likely affects millions of people. Can a Low-Carb Diet Cure the Worlds Health Problems? Everything you need to know about a gluten free diet - EVERYTHING! Wow! Good for you! Will you be giving your website to someone else to run? I’ve noticed several questions going unanswered, but I can’t come close to imagining how you manage your extremely busy, full life! Whoa!